Om Prakash Saini from Jaipur, BCA Graduate. Om Prakash Saini is IOS Developer and currently have no work experience. OBJECIVE-C XCODE 7.2 IPHONE AND IPAD APPL..
are one of expert skill area's of Om Prakash Saini . 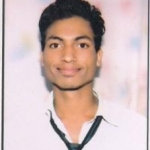 Om Prakash Saini is working in IT Software industry.